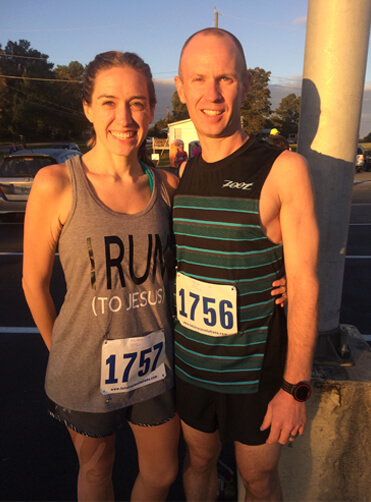 At age 37, Jason Bailey runs a marathon in 2:56:47. More than enough to earn him entry into the 2019 Boston Marathon. At the time of his most recent marathon, a man his age needed a 3:10:00 in order to qualify. He’s not just a fast guy, but a formidable training partner who challenges the fitness of those several years younger than him. It comes as no surprise that he trains remarkably hard. 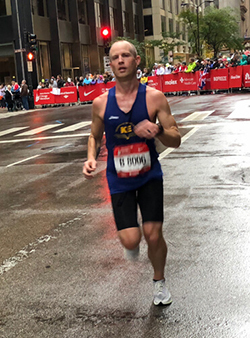 Working full time as a farmer, and as a husband and a father, he has managed to train himself down to some impressive times including two BQ races at Indianapolis Monumental Marathon (3:03 finish) and his 2:56 at the Bank of America Marathon in Chicago. Jason makes it look easy, but getting there wasn’t that simple. When he found himself 40lbs overweight and having to take medicine for his cholesterol in his mid 30’s, he decided that he needed to do something. So, Jason went from ‘not being able to run a mile’ to ‘2:56 marathoner’ in the span of three years. 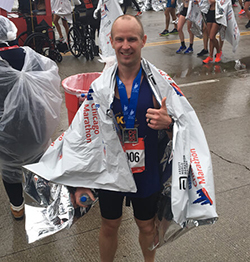 His patience with the training has continued to pay off earning him a NYC Marathon qualifier in the Tom King Half Marathon with a time of 1:21:57, which he has since cut down by nearly a minute and a half in the Strawberry Plains Half Marathon. It’s inspiring to watch, and makes one wonder just how far he plans to go with his running in the coming years. Well, I think it’s safe to say there’s a lot of us who could see him getting there. Jason will toe the line at Boston this April shooting for a sub 2:50. It will be exciting to watch him race. As for the future, he is eyeing the California International Marathon in December, and New York in 2020.